Download Liberation War 1971 Book. 1971 by Humayun Ahmed is a great Bangladesh liberation war book. In this book, you will get a story and through this story, Humayun Ahmed tried to focus the actual condition of liberation war and the brutality of the Pakistani military. A small village named ‘Nilgonjo’. The story is plotted at the village. The village is situated to the remote area from the centre of Bangladesh and this is communication isolated village. In this village, the school was controlled by the Pakistani Military. The name of the commander of this military is Azaz Ahmed and he has a companion and his name is Rafiq. In this novel, there is not any war story. You will see in this novel commander Azaz Ahmed and his companion Rafiq. Azaz is asking people and giving punishment through Rafiq. Aziz thinks, there will be freedom fighters in the village. The people in this village are very simple and at this moment they are seen that they have no any sense of what is happening. The story will take us on a point and at that point, we will realize, war can’t be easily avoided. 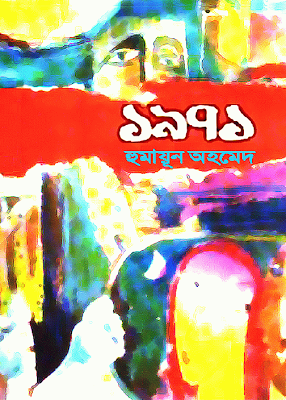 So, if you want to read 1971 stories by Humayun Ahmed, or observe 1971 in the eyes of Humayun Ahmed, then you can download this Bangla book and read. By the way, If you want to download and read the Bangla liberation war book named 1971 by the popular Bangla writer Humayun Ahmed, then you are requested to click here! Remarks: Humayun Ahmed Free Ebook Download, Humayun Ahmed Romantic Book Download.